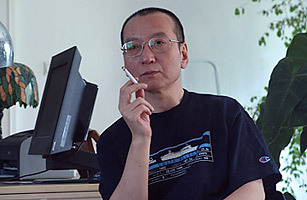 Despite repeated warnings from the Chinese government, the Nobel Committee named jailed Chinese dissident writer Liu Xiaobo the winner of this year's Nobel Peace Prize, citing "his long and nonviolent struggle for fundamental human rights in China." Liu has been in prison since last Christmas, when he was sentenced to 11 years for criticizing China's communist government in a widely circulated petition dubbed Charter 08. Liu's wife accepted the committee's praise on his behalf, and, from house arrest in Beijing, invited Chinese dissidents and writers to attend the ceremony in her husband's place. President Obama, the recipient of last year's Peace Prize, called on China to release Liu soon after the award was announced, saying that political reform in the country "has not kept pace" with "dramatic progress in economic reform." See TIME's coverage of Liu's Nobel Peace Prize win.